SPRINGFIELD, MO—Ozarks Coca-Cola Bottling Company expanded its franchise territory on October 30 with the acquisition of new territories from The Coca-Cola Company. 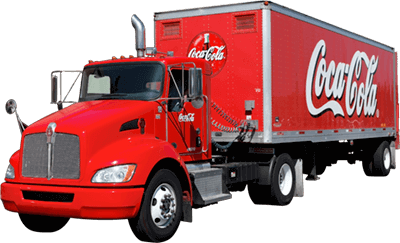 Deliveries of Coca-Cola products by Ozarks Coca-Cola Bottling Company to territories in Missouri, northern Arkansas and southeast Kansas will begin on November 2. Distribution centers for the new territories are located in Joplin, Missouri and West Plains, Missouri. Ozarks Coca-Cola Bottling Company is a third generation, family-owned Bottler operating in Missouri for 95 years. Founded by the Rice family in 1920, Coca-Cola products are manufactured in Springfield with sales centers in Springfield, Bolivar and Rolla. Ozarks Coca-Cola was a Top 10 Bottler in 2014, and employs more than 300 associates. More information about Ozarks Coca-Cola is available at cocacolaozarks.com, and a territory map is available at cocacolaozarks.com/business/market-area-map. Ozarks Coca-Cola is honored to be a part of the 21st Century Partnership Model with The Coca-Cola franchise system and sees this as an opportunity to share the company’s mission and strengthen the communities they serve. Ozarks Coca-Cola Bottling Company’s mission is to bring sparkling moments of refreshment to everyone in the Ozarks with the taste of their favorite soft drinks. We honor the history of our iconic brands in partnership with the Rice and Heer families for 95 years. Our passionate employees add value to their communities every day through meaningful service to customers and providing economic benefit for all of us.